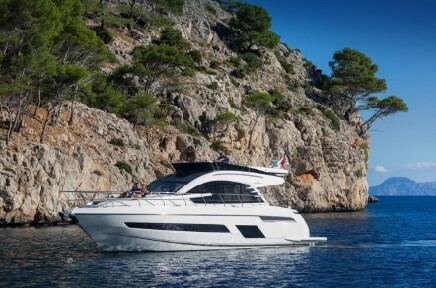 Fairline Yachts’ UK dealer, Bates Wharf Marine, has a busy May in store as the dealership announces it is set to display four models from the luxury British boatbuilder over two shows, the London Yacht Show (8-12 May, St Katharine Docks) and the British Motor Yacht Show (17-19 May, Swanwick Marina). Taking centre stage at both events is the Targa 43 OPEN, which was crowned winner of the Best Exterior Design in the 14-18m category in the World Yacht Trophies 2018, following its launch at the Cannes Yachting Festival. The Targa 43 OPEN features the award-winning design of Alberto Mancini. The sleek and stylish express cruiser boasts a large sunbed over the tender garage and an expansive cockpit seating area – the perfect arrangement for enjoying time on board. With two large cabins and two heads, this new addition to the Fairline range is set to be a star of these shows. The twin Volvo Penta IPS 600 D6-435 engines offer a comfortable cruise at 26 knots and the boat can achieve a maximum speed of 31 knots. Joining the Targa 43 OPEN at both the London Yacht Show and the British Motor Yacht Show is the Squadron 53. Launched in 2017, this spacious cruiser has also been crafted with Alberto Mancini’s award-winning design expertise. The yacht is based on Fairline’s well proven 53ft hull and features a new sleek design from the deck upwards, which epitomises the new era of Fairline Yachts and the hugely successful partnership with the celebrated Italian superyacht designer. A luxurious sense of space characterises the Squadron 53, which features a single level main deck floor from the cockpit to the lower helm that, in turn, ensures a generous 6ft 4in headroom at the foot of the large double bed in the mid-master cabin. Combining the luxury of a spacious, sociable main deck with a well-appointed helm station with twin pilot seats, the Targa 48 GT enables you to share the thrill of discovery in comfort. Technologies come as standard, such as the electric, hard-top roof, coupled with panelled glazing. With one elegant sweep, the Targa 48 GT lets sunlight flood in, whilst its powerful IPS 600 or 700 engines deliver an agile performance. 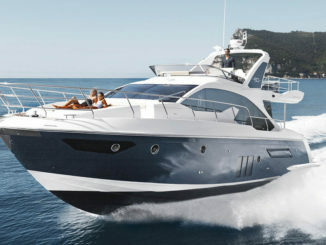 The Targa 48 OPEN is one of the most exciting sports cruisers on the water. A beautifully appointed two or three cabin, double en-suite model, the Targa 48 OPEN embraces the design trend of spacious sociable areas both inside and out. 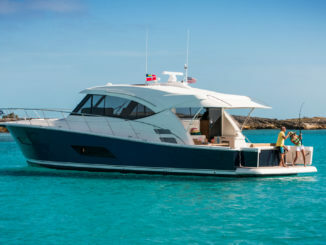 The 2019 model features newly designed hull windows, courtesy of Alberto Mancini, which allows the upgraded interior to be bathed in natural light. 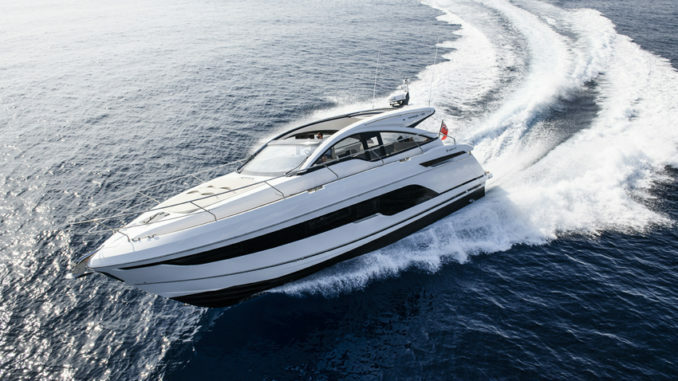 The Targa 48 OPEN offers exceptional performance and manoeuvrability thanks to its impressive twin IPS 600 or 700 engines. 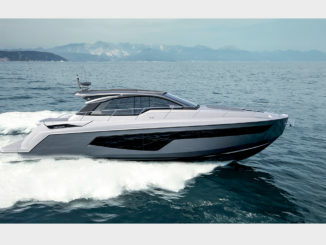 In addition to the stellar boat line-up, visitors to the British Motor Yacht Show can experience a highly immersive Virtual Reality experience of the Targa 63 GTO, the Squadron 64 and the hugely exciting new F//Line 33 – an innovative new addition to the Fairline range, which will launch at Cannes Yachting Festival later this year. The Bates Wharf Marine team will be on hand to provide visitors to both shows with in-depth information about Fairline Yachts and its boats going into the 2019 season. Nitro Z-17, very wide !